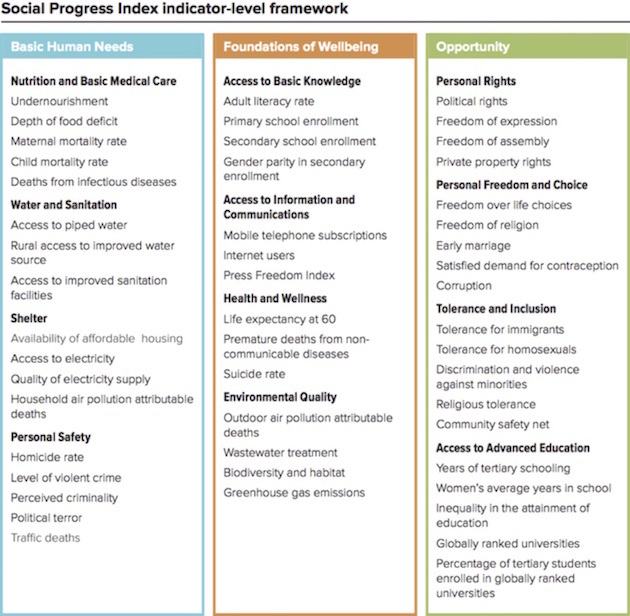 The question, if we define growth as good, is how do we measure it? 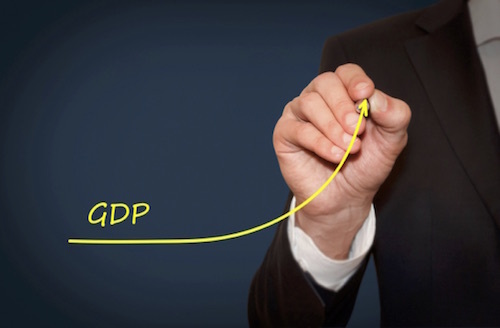 Presently we use gross domestic product, or GDP. But GDP is showing its age in the 21st century. The measure was actually invented in the late 1930s when President Roosevelt needed some way to prove that his policies were working. And at 85 years old, the old formula may be nearing time for retirement. Net exports is exports minus imports, so it’s a negative number for a country like the US that runs a trade deficit. That’s easy enough, but the calculation ignores whether those are the right components and how to define them. The result is a lot of potential distortion. For example, very little happens to GDP if you do your own housekeeping. You consume some cleaning products, but your labor doesn’t count, no matter how long you scrub. But the labor does count toward GDP if you hire someone and pay that person to do the exact same work while you take a nap. The hired labor “produced” something of value, and you did not. 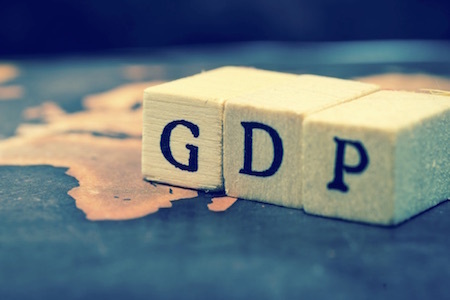 Looking deeper, we realize that GDP is a historical artifact from an industrial economy that doesn’t really exist anymore, at least in the US. GDP worked well in the post-World War II era when the US economy thrived by making material goods: trucks, cars, machinery, appliances, airplanes, houses, and skyscrapers, etc. Output is easy to measure for such goods, as are the kinds of inputs required to produce them, mainly large factories and raw materials. Think also of how much more productive technology has made us. That’s hard to measure, too. Imagine it’s 1975 and you want to know what GDP growth was in 1972. Unless you happen to be an economist who keeps such figures handy, you get in your car and drive to the library. 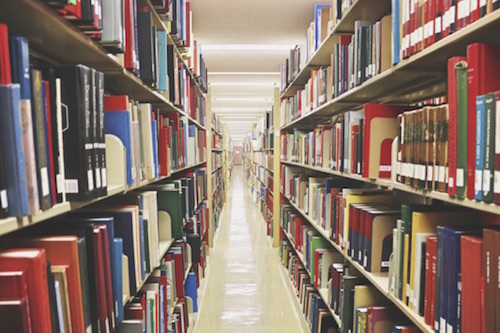 You consult a card catalog, note the Dewey Decimal classifications of a number of promising volumes, then set off to search the shelves for them. When you chance on something, you thumb back and forth through it to find the statistic you want. Then you head back home and resume typing your research paper on a typewriter – perhaps you even have an IBM Selectric! Or consider travel. Remember the spiral-bound map books that covered major cities? In Dallas the company that made them was called Mapsco. If your job involved going to unfamiliar places, you had to have one, and they were expensive. And you had to buy a new one at least every few years. Now your phone can get you anywhere you want to go, not just in your hometown but the world over. We could list thousands of little tasks that used to take hours but now require only seconds. Add up all that time saved, then scale it over hundreds of millions of workers. The impact on productivity is mind-boggling. Does it show up in GDP? Not really. It may even reduce GDP, since we no longer consume as much fuel, printing, and library space, etc. I grew up in the printing business, and I would often print prospectuses. They were incredibly expensive and time-consuming to produce. Today a prospectus is a PDF file. Going back to the old ways might improve the economic numbers, but would it help the economy? No way. Yet we measure economic growth as if it would. That’s a problem. 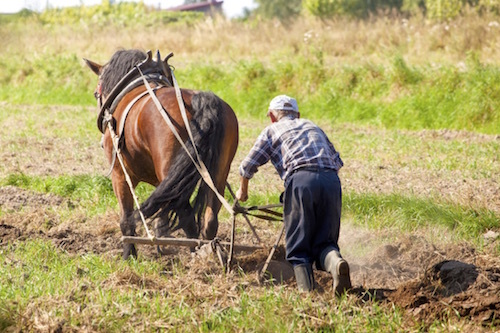 Our antiquated methods matter to employment, too. I saw in a recent Wall Street Journal report the reduction in labor needed to operate a power plant as we move from nuclear or coal to natural gas or wind or solar. One company that is shutting down its coal plant and laying off 430 workers will be opening a solar plant in West Texas that will be one of the largest solar facilities in the country, operated by two workers, who may actually be part-time. Put that in your future-of-work pipe and smoke it. Coal power accounted for 39% of US electricity production in 2014, 33% in 2015, and 30.4% in 2016. There are 1308 coal-powered plants in the US. Assume 125 workers per plant. That’s 163,500 workers. Now cut that number by at least 80% if the plants all shift to natural gas, which they will over time. That’s a loss of 130,800 workers. And that’s assuming that they all go to natural gas and don’t go to wind or solar. This is going to happen in the next 10 to 15 years. My math could be off here or there, but not by an order of magnitude. We are now producing vastly more energy with far fewer workers than we did in GDP’s heyday. That’s a labor problem for sure, but it’s also a growth measurement problem. We desperately need a better method. By WEF standards, the “most inclusive” advanced economies are mostly European. The US and Canada are not in the top 10. 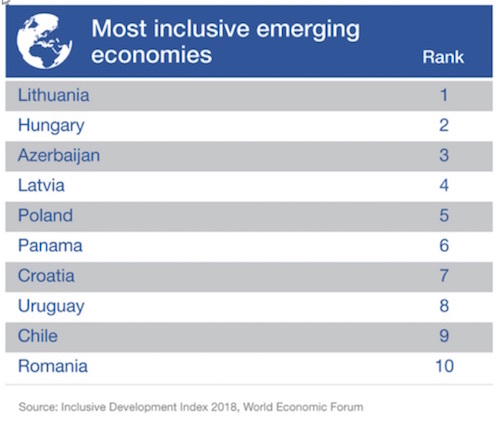 The most inclusive emerging economies list is more interesting. Azerbaijan? Really? Lithuania leads the list, and from what I’ve heard, it probably deserves to do so. (We have employees in Lithuania, and they are excellent and productive workers, as are our Eastern European staff. We are truly a worldwide virtual company.) The other countries on the list look like a strange mix at first but make more sense after some thought. Several live in the shadow of much larger neighbors, so maybe they are more willing to innovate. This list would be a good starting point if you have money to deploy in emerging markets. I will be in Sonoma with my friends at Peak Capital in late February, and then of course I’ll head to San Diego for my conference. I’ll arrive a few days early and maybe stay an extra day just to relax from the adrenaline rush. My travel seems to have slowed down somewhat, as more people have been coming in my direction lately, keeping me from having to get on the road. And that is a good thing. Being in and out of the cold in Boston last week – even though I was dressed for the weather – must have weakened my immune system, and then I sat in the plane across the aisle from somebody who was coughing his lungs out. But whatever the reason, I have had a serious head cold that is finally starting to get somewhat better. Last night was the first decent night’s sleep I’ve had. But I shouldn’t complain, as I rarely get sick. And at least I haven’t had a run-in yet with this season’s flu, which I am told is really devastating. I’m spending a great deal of time on the phone, talking with speakers who will join us at the Strategic Investment Conference, going over details and getting a heads-up on where they are going with their presentations. I am actually shuffling the speaking order around in order to make things flow better. Planning this conference is my personal art form, and from the response I get, it seems I do a reasonably good job. But it helps to have an incredible team. Shannon Staton is the primary reason it all comes together. We are looking to add one or two more speakers and panel members that I think would be strategic, but with the conference just six weeks away, we are really having to lock things in. Let me wish you a great week, and I think I will make myself some nighttime TheraFlu, which seems to help, and then began to wind down for the weekend. IN DECEMBER a new dollar bill came into circulation adorned with the signature of Steve Mnuchin. Instead of his usual scrawl, the treasury secretary opted to print his name. If he hoped that his best handwriting would give the greenback a fillip, he may well be disappointed. 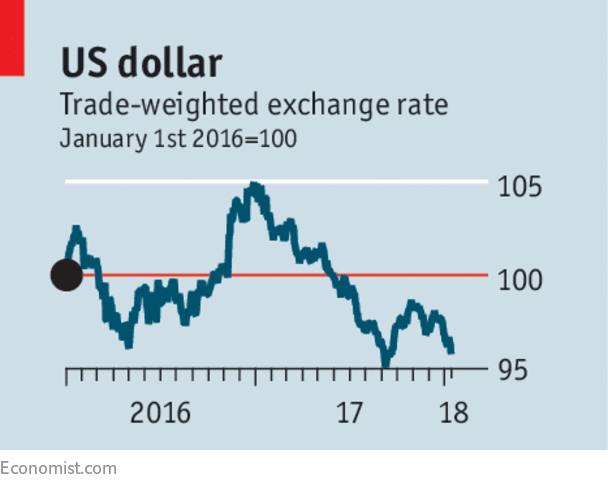 The dollar reached a peak against a basket of other currencies a year ago and has not threatened to regain it. Gurus of the foreign-exchange markets agree that 2018 is likely to be another year of modest decline. That is because of three sources of downward pressure. The first relates to the world economy. The dollar’s descent is not so much a judgment on America’s fitness as a sign of the burgeoning health of other places. So long as America was one of the only places that could be relied upon for economic growth, there was a powerful logic to the dollar’s strength. A broad-based global upswing—evident in everything from booming stockmarkets to a surging oil price—means that investors are now rushing into currencies other than the dollar. That effect is proving stronger than the expectation that American firms will repatriate more profits thanks to the recent tax cut. And it seems likely to continue. The second source of downward pressure reflects a change in policymakers’ attitudes. Until quite recently, no country seemed keen on a strong exchange rate. A cheap currency was prized. Curbing imports and boosting exports was a way to grab a bigger share of scarce world demand. In 2010 Brazil’s finance minister said that a “currency war” had broken out, with countries vying to weaken their exchange rates using weapons such as quantitative easing (printing money to buy bonds) or capital controls. Rich-world central banks feared that even a hint of tighter monetary policy might cause their currencies to surge against their peers, to their economy’s detriment. But now that global growth is buoyant, few countries seem to mind much if their currency rises. Interest rates have been raised, not only in America but also in Canada and Britain. The European Central Bank (ECB) has reduced its bond-buying programme, as has Japan’s central bank. As extraordinary monetary policy is slowly withdrawn, the fundamentals matter more. This is the third force pushing down the dollar: its price against other major currencies. Benchmarks such as The Economist’s Big Mac index, based on the idea that goods and services (in this case a burger) should cost the same the world over, are useful guides to how far currency values are out of whack. According to the latest version of the index, only a handful of rich countries have dearer currencies than America’s (see article). That is a big change from a decade ago. On the same benchmark in 2008, only two rich countries had a cheaper currency than the greenback. Some currencies have already jumped against the dollar. In a matter of weeks last summer the euro moved from $1.11 to $1.20, in response to a hint from the ECB’s boss, Mario Draghi, that the tailing off of its bond-buying would begin soon. Other currencies are more likely to strengthen than in past years. It is easy to imagine the yen snapping back towards its fair value in the way the euro did last year. There are still cheap currencies in countries with close ties to the euro area’s thriving economy, such as Poland and the Czech Republic. With the exception of Brazil’s real, emerging-market currencies in general are still very undervalued. Expect them to strengthen further. In the short term, a consensus on a currency’s fall can be a prelude to it going the other way. But for 2018 as a whole, further strength in the greenback seems unlikely, no matter whose autograph is on the bills. CAMBRIDGE – The belief that inequality hurts economic growth is gaining currency among policymakers. Some argue forcefully that high levels of inequality can make sustained growth impossible, and may even contribute to recessions. This view stands in stark contrast to the traditional view that there is a tradeoff between equality and growth, and that greater inequality is a price that must be paid for higher output. Lost in the discussion, however, is whether any of this is actually germane to economic policymaking. I don’t believe it is. Whether inequality is good or bad for growth should and will continue to concern social scientists. But those guiding an economy should focus on assessing outcomes and modes of distribution rather than on a puzzle that will never fully be solved. Three developments make this refocusing necessary. For starters, while recent studies have concluded that higher levels of inequality produce lower long-term growth, other data have challenged this assumption, making definitive claims that are impossible to support, partly because different sources and types of inequality likely have different impacts on growth. Second, most research focuses on the impact of inequality on growth, rather than on how specific policies affect growth. The former is of interest to social scientists and historians, but it is the latter that is relevant for policymakers. And, finally, politicians generally defend their policies in terms of how they affect the middle class or the poor, not the arithmetic average of incomes across an economy – which gives equal weight to a $1 increase in the income of a poor person and that of a billionaire. So, even if reducing inequality was bad for overall growth, it might still be good for social welfare in the relevant sense, if it made many households in the middle better off. The fact is, economic policies in the real world are nuanced and site-specific, making the search for a single answer to the question of how – and how much – inequality affects growth a Sisyphean task. 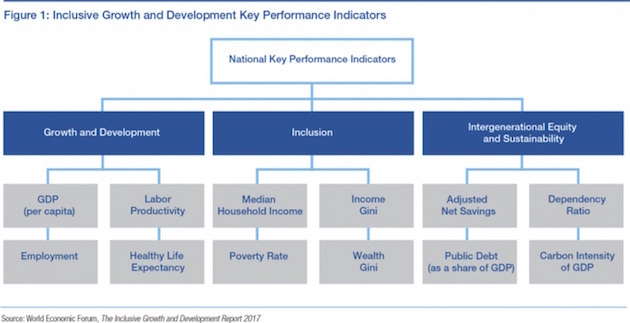 Rather than concerning themselves with how to balance growth and inequality, policymakers would do better to focus on how policies impact average incomes and other welfare indicators. Win-win policies – defined as distribution mechanisms that produce growth and reduce inequality simultaneously – are the easiest to evaluate, and the most advantageous to adopt. Education is a classic example. Reforms that cost little or no money, such as improving the quality of primary and secondary education, have been shown to encourage growth while ameliorating inequality. Even reforms that cost more – like expanding preschool education in the United States – generate economic benefits that far exceed the tax losses associated with funding them. These types of approaches – what I call “all good things go together” policies – could be applied to other sectors of the economy that are being squeezed by imperfect competition. More vigorous antitrust policies, or increased consumer ownership of data, could strengthen competition and, in the process, boost efficiency and improve income distribution. Any policy that promotes growth or lowers inequality without negatively affecting the other variable can also be classified as a win-win. A revenue-neutral reform of business taxes, for example, could raise the level of output with no meaningful impact on the distribution of income. It is far more difficult to evaluate policies that involve a tradeoff between growth and inequality. For the sake of illustration, consider the effects of a hypothetical 10% reduction in labor taxes paid for by a lump-sum tax modeled using a neo-classical Ramsey growth model – a scenario that I detailed in a recent paper for the Olivier Blanchard and Lawrence Summers series on Rethinking Macroeconomics. This plan is good for growth, with average output increasing by 1%. But to understand how this policy would actually play out for taxpayers, I applied the scenario to the real distribution of US household incomes in 2010. Nearly all households in the model experienced an increase in pre-tax income. But taxes increased for two-thirds of households. For middle-income households, the increased taxation was offset by earnings, but leisure also fell. As a result, the tax change left around 60% of households worse off, even as average household income grew, driven by gains at the top. This analysis does not answer the question of whether this illustrative tax policy is a good idea. But most policymakers would likely object if they understood that growth would be achieved by higher taxes on two-thirds of households, leaving the median household working harder to earn the same after-tax income. Social scientists should continue to ask whether inequality is good or bad for economic growth. More research is needed on the variables that affect growth, such as median income. Economists should also pay less attention to inequality in the aggregate, and more on the specific policies that might increase or reduce inequality. But policymakers have different priorities than economists do. Rather than rethinking macroeconomics, policymakers must consider whether specific goals for social welfare and distribution can be achieved through win-win measures or through policies that make worthwhile tradeoffs. The answer may be to obsess less over aggregate data, and to focus more on how policy decisions impact real people. Jason Furman, Professor of the Practice of Economic Policy at the Harvard Kennedy School and Senior Fellow at the Peterson Institute for International Economics, was Chairman of President Barack Obama’s Council of Economic Advisers from 2013-2017. The government of Belarus has announced that it will not permit more than two foreign military bases on its territory. There are now two Russian military bases in Belarus, and it is unlikely that any other country has suggested placing bases there. It is therefore reasonable to assume that the Russians have asked Belarus for additional facilities and that the Belarusians have turned them down. The reason for Russia’s interest in Belarus is obvious. The Baltics are part of NATO, Ukraine has a pro-Western government, and Belarus is the last piece of the Russian buffer zone that is not overtly anti-Russian. If Belarus were to shift its stance and turn against Russia, the entire buffer zone would be gone and with it the strategic depth Russia has depended on. Obviously, more bases would strengthen Russia’s position in Belarus. The ability to base larger, more significant forces in Belarus would also give Russia offensive capabilities. Ukraine’s northern frontier would be vulnerable, and the ability of Russia to project forces westward would also increase. The Russians are unlikely to launch an offensive, since war is always risky: The outcome is unknown and the cost of defeat could be destabilizing for Russia. But the ability to do so would put pressure on the region. Belarus’ rebuff to the idea of more bases shows that Russia is reaching the limits of its power, or in other words, encountering the turbulence that comes with expanding power, precisely because it has few options. The Russians have been trying to increase the perception of their power since the West turned on them following the Ukraine crisis of 2014. To a great extent, Russia has convinced other countries that it is a rising power. But being a rising power always brings resistance from those who fear its rise. It also forces Russia to be concerned with events that are in its putative area of interest, forcing it to diffuse its attention and its power. That there is a desire to convince other countries that Russia is a rising power is indicative of the limits of its power. Russia has been examining possibilities in the Balkans, and in particular has drawn close to the Serbians, who are unhappy with the rise of Albanian power in Kosovo in particular and the region in general. The initial decision by Macedonia to recognize Albanian as an official language was made in order to manage its internal realities and also to placate Albania. The introduction of the second language was backed by Macedonian Prime Minister Zoran Zaev, who gained power with the support of Albanian partners. He wants to maintain this support to include Albanians in the solution of the Macedonian question and to accelerate Macedonia’s accession to the European Union and NATO. Though Macedonian President Gjorge Ivanov vetoed the measure a week later, the general trend of supporting Albania remains. Normally this issue would not interest the Russians. However, Serbia is extremely alarmed by it, and therefore the Russians were compelled to take a stand, condemning Macedonia’s decision. Russia’s attempt to present itself as a major power led to its involvement with Serbia, thus entangling it with Serbian interests. A similar situation exists in Turkey. The Russians intervened in Syria to preserve the regime of President Bashar Assad. This was not of overwhelming strategic importance to them, but it appeared to be a low-risk path to demonstrating their power. The evolution of events in Syria has led the Turks to the verge of intervening against the Kurds. Russia wants good relationships with Turkey, in spite of Turkey’s hostility to the Assad regime, but it does not have a major stake in the future of the Kurds (except that Turkish hostility toward the United States’ attempt to defend the Kurds must delight the Russians). The Syrian government has threatened to intercept Turkish aircraft over Syria, which complicates Turkey’s strategy to deal with the Kurds, prompting Turkey’s head of intelligence to fly to Moscow to talk to the Russians about the matter. This puts the Russians in a difficult position, since the Turks will hold them responsible. All of these matters – Belarusian military bases, language laws in Macedonia and Syrian airspace – were not important to Russia before 2014. Now the Russians must feel like the Americans always do, trying to solve a problem that is not really their concern to protect a foreign policy interest that is real, but three or four links down the line. Russian power is perhaps better managed at the moment than American power, but it is not nearly as deep. And Russia has entangled itself in affairs over which it has little power, or which lead to an untenable situation. The risks of foreign entanglement increase the less fundamental power a nation has. Russia, like the United States, is experiencing the limits of that power, a limit that is more daunting precisely because of the Russians’ need to demonstrate that they have more power than they actually have. IT HAS been another week of vertiginous swings in the prices of bitcoin and other crypto-currencies. This time, the moves have mostly been downwards, with some days seeing falls of over 20%. Views on this were as divided as they were during the giddy climb: did it mark the definitive bursting of a bubble as rapidly inflated as any in history (see chart)? Asia provides both an explanation of this week’s sell-off and a glimpse of crypto-currencies’ future. The threat of a ban in bitcoin-trading in South Korea was the proximate cause of the plunge. As to the future, the question is which Asia? At one end of the spectrum is Japan, which has embraced crypto-currencies. At the other is China, which has all but banished them. South Korea has been in the middle. These countries have outsized roles in the crypto universe. China’s exchanges hosted more than nine-tenths of global bitcoin-trading until the government closed them last year. Japan now has the biggest share of virtual-currency markets. South Korea makes up less than 2% of global GDP but nearly a tenth of bitcoin-trading. North Asia has been fertile ground for crypto-currencies for several reasons. Partly it is the high-tech pedigree. A prevalence of smartphones, fast internet and computer-science graduates makes people receptive to the newfangled. The rigidity of conventional finance has helped. Capital controls boost the appeal of crypto-currencies in China and South Korea, and in Japan they are a beguiling alternative to low-yielding mainstream investments. A zest for gambling has surely lured some to a market that is driven by speculation. But the region’s regulators are going in different directions. 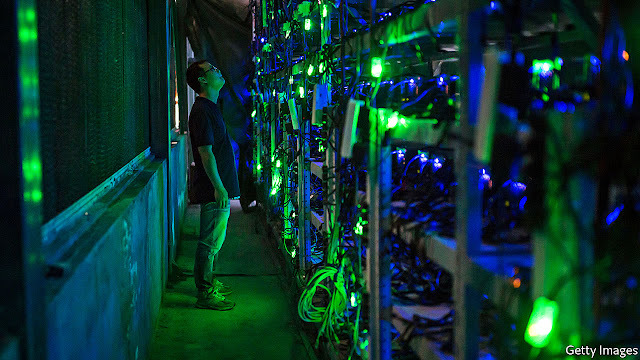 China, alarmed at the way crypto-currencies can evade government oversight, has taken the harshest line. Last year it banned domestic exchanges; in recent days it has taken aim at websites flouting this ban. Officials have also called on local authorities to choke off the power supply to bitcoin miners, computer networks that create new coins through massively energy-intensive calculations. China’s miners, still dominant in the global industry, are shifting to other countries. Japan, by contrast, has given crypto-currencies room to run. Its regulators know the dangers. One of the biggest scandals in bitcoin’s short history was the collapse of Mt. Gox, a Japan-based exchange, in 2014. And officials have not minced their words, with Haruhiko Kuroda, governor of the Bank of Japan, warning that the bitcoin rally in late 2017 was “abnormal”. But rather than throttle virtual currencies and the innovations they might spawn, the government has let them develop, within parameters. Last March it passed the “virtual-currency act”, declaring that they are assets and can be used for payments. The financial-services authority has granted licences to 11 exchanges, to reduce the risk of fraud. Zennon Kapron, a Shanghai-based analyst of digital currencies, says that some of China’s leading crypto-coders are now moving to Japan. South Korea was initially hands-off in its regulations. But alarm has mounted about the speculative fervour. So intense is the demand that South Koreans pay a “kimchi premium” of roughly 40% for their bitcoins (not easily arbitraged away because of capital controls). On January 11th the justice minister said crypto-currency exchanges would be banned. Their devotees responded with a petition urging leniency, which swiftly collected more than 200,000 signatures. Faced with this backlash, the government appeared to soften its stance, saying a ban was just one idea. Other incoming measures are less potent: investors will have to pay taxes on capital gains and register trading accounts under their real names. But just as crypto-markets had recovered their poise, South Korea’s finance minister said this week that the ban was still very much on the table, calling it a “live option”. The collapse resumed. Virtual currencies have bounced back from past sell-offs, but this has been a big one. At one point bitcoin was down about 50% from its highs in December. Believers in virtual currencies say that one of their selling points is freedom from government meddling. In Asia, the cutting edge of the crypto-world, it is governments that are making—and breaking—their fortunes.